The LucyBelle Pets Dog Umbrella leash will make taking your pup out in the rain a breeze. Simply connect the easy-to-use metal chain to your furry friend’s collar. 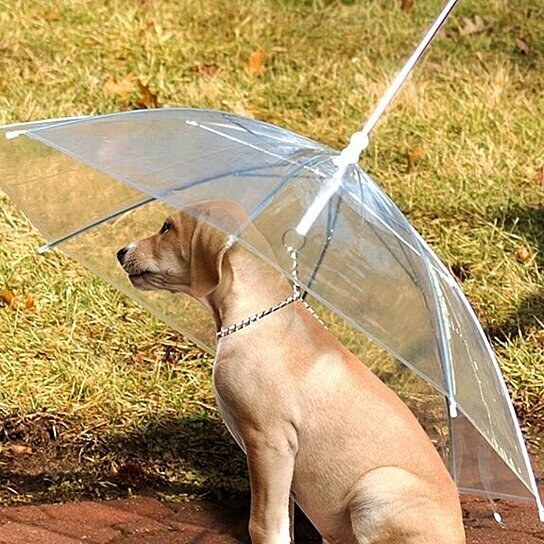 This umbrella is great for keeping your pet dry and clean during rainy or snowy weather.